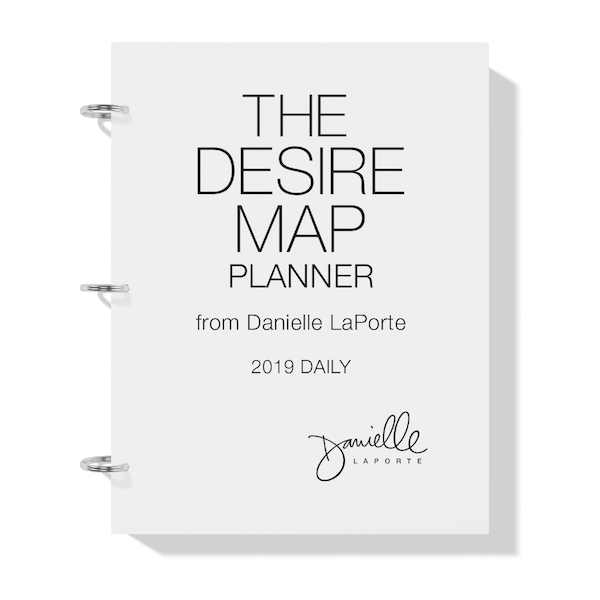 The 2019 Desire Map Planner Collection is out now! It’s a radically different way to plan your day. And this year, there are some HUGE design upgrades to the whole planning system. 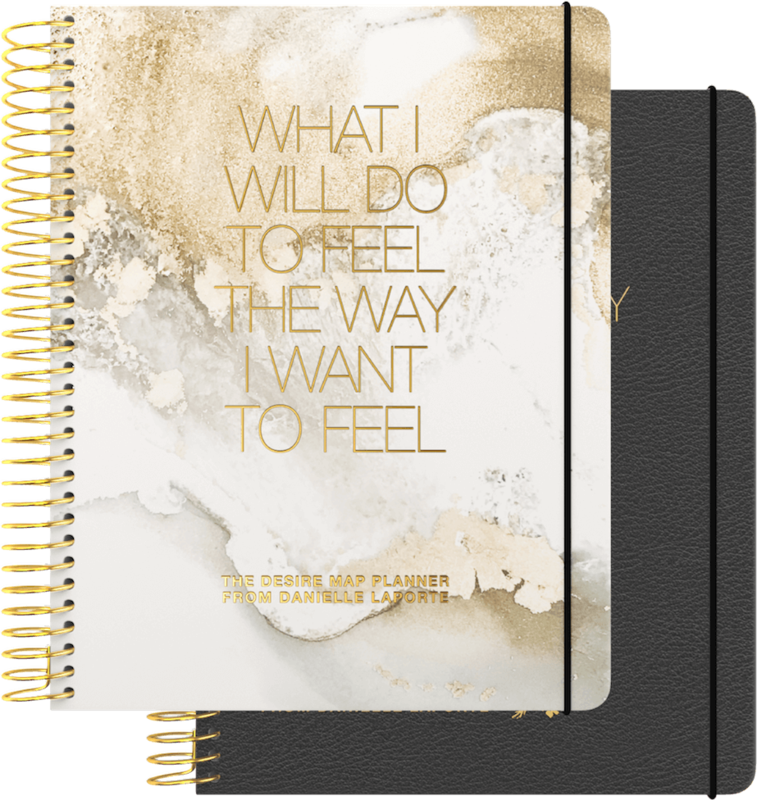 Based on the wildly popular book by Danielle LaPorte, The Desire Map, this day planner is more than a scheduler. Part calendar, part gratitude journal, part soulful introspection—this is a whole system designed to help you FEEL GOOD while getting stuff DONE. Where most planners are just about productivity and task management, The Desire Map Planner helps you design your days and weeks according to how you most want to feel. The way it should be, yes? 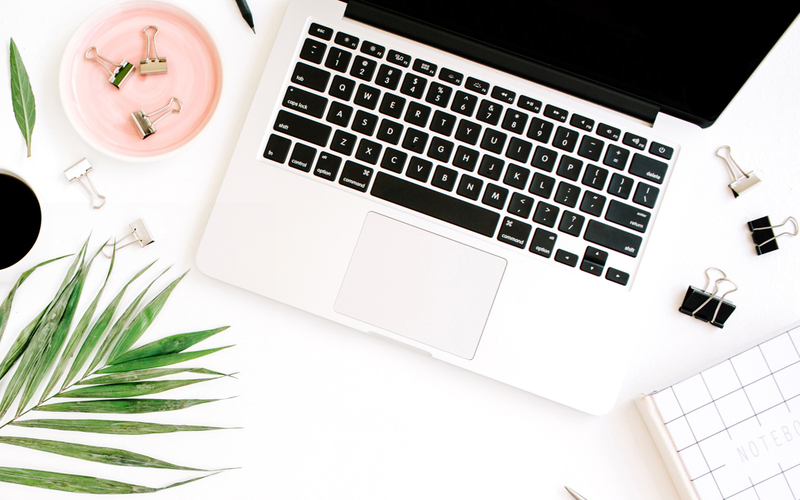 Space to write your “Important 3” to-dos, your wellness aim, and a special section called “Devotion” to record your spiritual practice intentions. AND (this is the big one), a new digital support system to help you stay true to your intentions through the year. It’s inspirational hand-holding with a side of accountability so you can bring your Core Desired Feelings to life all year. This $45 program is available á la carte, but you can get it bundled with every planner. Amazing. This year’s planner comes in three gorgeous versions: Daily, Weekly, and the brand new Undated edition. Check ’em out! The DAILY planner is great for the highly scheduled, detailed thinkers and A-types who love keeping track of all the big and little things. This planner takes you through the week day by day with ample space for scheduling and tasks, PLUS: #truthbombs; daily gratitude; a Stop Doing list (because saying no is revolutionary); and prompts to get you thinking about your physical and spiritual wellness. And every weekend, there’s a soul prompt for positive declaration, space to reflect, and a call to envision the week ahead. Shop the BLUE & RED DAILY PLANNER here or the CHARCOAL DAILY PLANNER here! The WEEKLY planner is for the big dreamers, creatives, and entrepreneurs—the planner-types who tend to start with the big picture. This planner takes a look at your week over a two-page spread, so you can plan your week with a bird’s eye view. Like the Daily, it’s sprinkled with #truthbombs and also has space for your Core Desired Feelings and daily to-do’s. 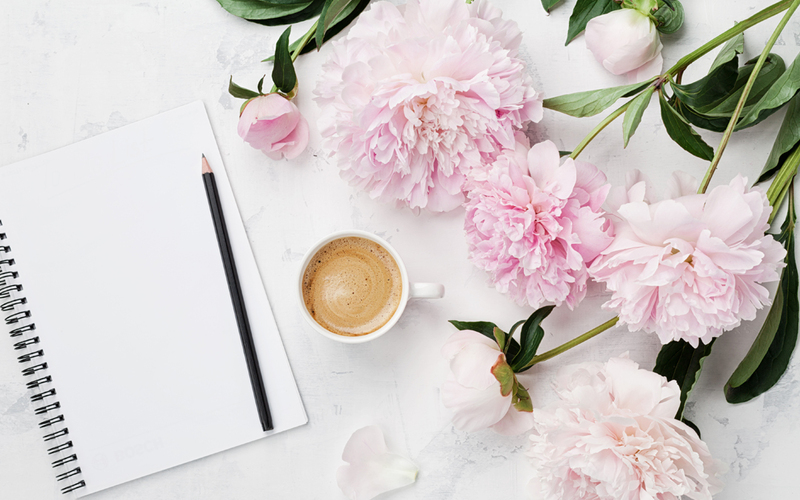 This planner also has a deep End-of-Week Check-in with unique soul prompts from Danielle. Space to reflect on achievements, gratitude, things you want to change, and the relationships you want to nurture. (Because connection is everything). Shop the PURPLE & GREEN WEEKLY PLANNER here or the CHARCOAL WEEKLY PLANNER here! The UNDATED planner is new this year, and is perfect for those who want the ultimate freedom. It’s laid out just like the Weekly Edition, with weeks at a glance and deep reflection/envision time in between. But since it’s date-free, you can start it on your birthday, a significant religious/spiritual date, the academic year… whatever feels like YOUR New Year. I love planning my days—my LIFE—this way. Because when you’re clear on how you want to feel, decisions come to you more easily. You’ll know when to say “No” and when to say “Hell, YES!” And then you can put it in writing. That’s what The Desire Map Planner does for me. Shop the GOLD & WHITE Undated Planner here or the CHARCOAL Undated Planner here! The PRINTABLE planner is easy to print at home or at your local print shop. If you thrive on details and want more space to track all the moving parts of your life, the DAILY edition is the perfect version for you. If you tend towards big-picture thinking and want to see all your great plans at a glance, this WEEKLY edition is for you. INTERACTIVE DIGITAL (IPAD) PLANNERS – NEW! The INTERACTIVE planner is the perfect companion for your eco-sensitive, paperless lifestyle. 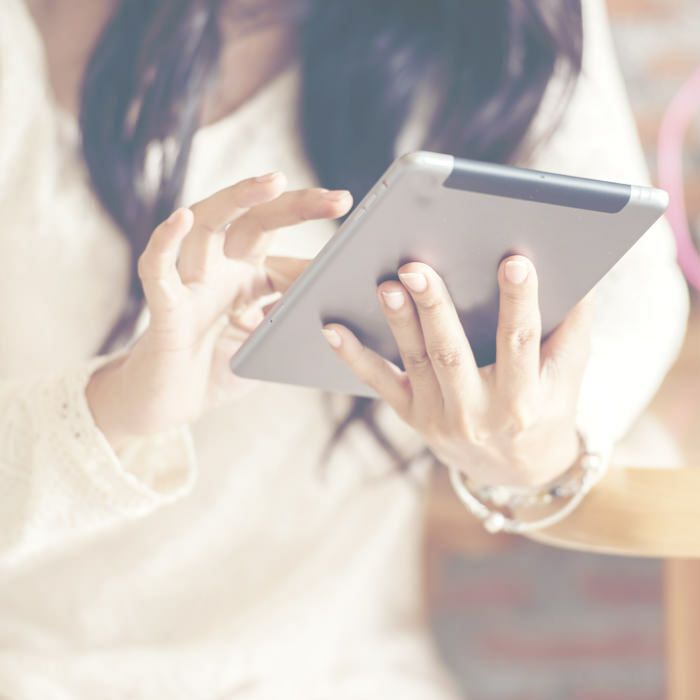 If you thrive on details and want more space to track all the moving parts of your life, simply download it to your tablet and tote your intentions around with you everywhere. Get the DAILY digital edition here or the WEEKLY digital edition here! 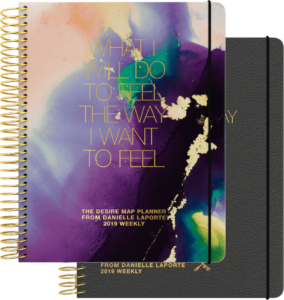 These gorgeous soul-centred planners sell out every year… and with the new Desire Map Planner Program offering, this year is going to be fire. Buy yours today and start planning the life you’ve always wanted. What comes into our cupboards and closets, what goes into our bodies, the people with whom we spend our free time, the gifts we give, how we worship, the thoughts we focus on. Clutter is a choice. Anger is a choice. Resentment is a choice. But so are spaciousness, flexibility, laughter, compassion, tenderness, and resilience. If this process resonates with you but you want to know more about it, I totally got you covered. I am hosting an Introductory Course for people to get a taste test of the Desire Mapping experience. I’d love for you to join us. I know you’ll love it, because you’ll begin to feel the way you want to feel more often than not. Decisions will be easier to make. You’ll know when to say “No, Thank you” and “Hell Yes!” You’ll be more optimistic, more open-hearted. Your life will ease up on the grinding and and fill up with more…ease. For more details on exactly what we’ll cover, dates, and location, click here. I know that you are destined to feel fulfilled and realize your full potential. You are here to design a life that feels good: when you wake up, when you go to work, when you cook dinner, create something, spend time with your loved one. The Desire Map has radically changed the way I live my life, and I am so thrilled to share this experience with you.